UAE residents can look forward to exciting sales in this year's Dubai Summer Surprises from June 22 to August 4. Indulging in outdoor activities in the UAE can be difficult as summers tend to be unbearable. 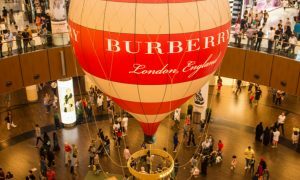 However, Dubai offers a wonderful, indoor alternative to all its residents with an exciting shopping event. Dubai Summer Surprises (DSS) 2018, is set to begin again from June 22 to August 4. The six-week retail festival will offer 25% to 75% discounts across Dubai Shopping malls. Dubai Festivals and Retail Establishments will organise the 21st edition of the event. It will feature a range of eye-catching sales, retail experience and weekly performances. The highlight of this year’s events include, an Opening Day 12 Hour Sale, a daily Deal of the Day offer, Weekly Weekend Destination surprises and the Final Weekend Sale. Apart from the vast number of discounts and promotions, top global brands will also be offering exciting sales up to 90% at all Majid Al Futtaim malls. Weekend highlights such as, Deal of the Day will provide customers discounts starting from June 23 to August 1 while, the Weekly Weekend Destination initiative will take place in a different mall every week offering entertainment and surprises. DSS will conclude with the Final Weekend Sale, from August 2 to 4. 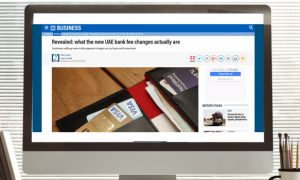 Customers can get full information about the events on the Dubai Summer Surprises website.